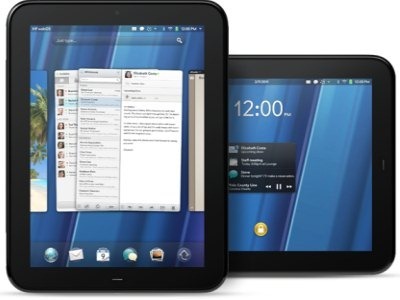 Since HP announced that it would discontinue operations with the webOS and kill off the TouchPad I’ve been scouring local stores and online retailers looking for one. I was willing to buy one for $299 just a few weeks ago so why wouldn’t I be willing to purchase one for half that? Anyway, I stumbled across one at dynamism.com and instantly ordered it. It arrived last week. I’ve had a little less than a full week to play with the TouchPad, but I have to say that the user experience is top notch. The card view and ability to move between multiple applications quickly is great. The universal inbox and calendar work like a charm, and the notification system is second to none; including Motorola’s system on their Droid series. Of course applications for the device are scarce, but I’ve been able to scrape together enough to make the device useful and fun. Overall I think the device is great. It’s a shame that HP killed it without giving it an opportunity to mature and develop a following. I personally prefer the interface of the TouchPad to that of the iPad and would say it’s at least on par with the Android tablets I’ve used; the potential is better. I haven’t experienced any significant problems with the device, but I’ve only had it a short time. The biggest issue for me is the lack of applications. I’d be hard pressed to use the TouchPad for more than email, calendar and web surfing. Then again, with the addition of games that’s about all I use my FrankenNook for these days. 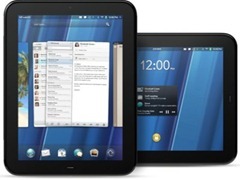 Let’s hope someone decides to take the webOS from HP and continue to develop it. It would be a shame to see something with so much potential die. Jerry – I’ve been away for a while and am glad to return to your blog to see that you picked it back up again. I was an early adopter of the 32gb version at almost full price. I was able to get a refund of the difference I paid and the current fire-sale $149 price. Thanks J&R Audio! You know that I love WebOS, and I have to say that the beauty of it shines on this form factor. I completely agree that it would be a shame if WebOS dies due to HP’s poor decision making…well, maybe you didn’t exactly say that, but I’m reading between the lines.